You still don’t know yet what to do in Napa while you’re there? We cannot blame you, for there are many fun things to do in the world-famous wine region in California. These include tasting wines to dining to hiking to riding a hot air balloon, among others. “Fun” can also mean hassle-free! Chances are you will want to visit some wineries and experience wine-tasting but, at the same time, you don’t want to be constrained by the hassles of an appointment. Fortunately, there are several boutique wineries in Napa and Sonoma that don’t require an appointment. Examples of such wineries include Artesa Winery, The Hess Collection Winery, Domaine Chandon, and Heitz Cellars. You can just happily walk in to these wineries and their staff will always welcome you – during business hours, of course! If you are done visiting the wineries, don’t forget to take advantage of Napa’s breathtaking scenery and mild climate. You can hike on the trails provided at the region’s favorite hiking spots on either side of the valley such as Skyline Wilderness Park, Westwood Hills Park, Alston Park, Bothe Napa Valley State Park, Robert Louis Stevenson State Park, and many more. They also offer plenty of campsites, RV parks, and other activities to enjoy such as fishing and horseback riding. You can also go to Napa Valley River where a host of outdoor activities await you: kayaking and paddling. Canoeing, rafting, and motor boating are also available. After action-packed fun in the outdoors, it may be time for you to enjoy culinary delights in the wine region. Napa Valley has some of the most diverse cuisines on the planet. Once you’ve decided what really suits your taste buds, you’ll most likely find it in Napa. For starters, shop at the Oxbow Public Market where you can find seasonal and artisanal food products and meals — Gott’s Roadside for the best-tasting burgers, The Olive Press for the finest, citrus-crushed olive oils, balsamic vinegars and other condiments, Ritual Roasters Coffee, C Casa for authentic tacos, Anette’s Chocolates for delectable hand-crafted chocolates, and so much more. Apart from high-end restaurants, Napa Valley also offers casual dining and local favorites that offer the world’s best flavors — Asian and Middle-Eastern fusion (Celadon), northern Italian (Cook St. Helena), Japanese (Morimoto), American (Ad Hoc), French (Bistro Jeanty) or Mexican (Villa Corona). Doing something that’s out of the ordinary often doubles the fun! 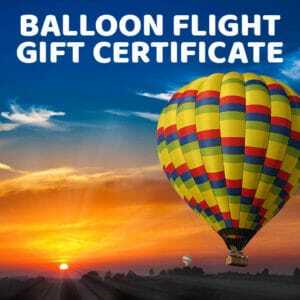 The first thing that comes to mind in terms of adventure in Napa Valley is riding a hot air balloon. Balloons Above the Valley (BATV) offers adventure! Riding a hot air balloon during sunrise is a thrilling reward enough — viewing the well-arranged vineyards, rolling hills, and lush, green mountains — while you’re floating thousands of feet above the ground. The cool breeze of the morning will be touched by the warm rays of the sunrise, waking up the dazzling landscape. Plus, you will feel peace and tranquility as the hot air balloon floats gently in the air, thanks to our experienced flying crew who will do everything to make sure you’re safe. There’s really no better way to view the enchanting Napa Valley landscape than riding a hot air balloon! 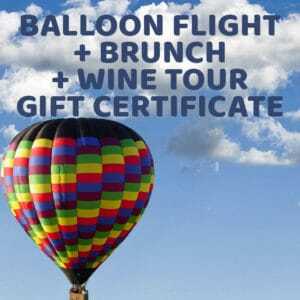 Balloons Above the Valley does not only do we provide hot air balloon flights, but also pre-flight breakfasts, post-flight champagne brunches, on-the-ground winery tours, bus limo and ferry transportation, picnic lunches, olive-oil tasting, optional sightseeing and shopping. Guests are well taken care of whether they’re on or off the ground. Our hot air balloon and wine tour packages reap praises and recommendations from our guests who have used our service — and have been more than just satisfied by them! BATV’s unwavering commitment to giving customer satisfaction was rewarded with a Certificate of Excellence award by the travel guide website TripAdvisor in 2015. TripAdvisor ranks us at #2 out of 21 Outdoor Activities in Napa. We were also awarded their Hall of Fame distinction. This article offers some ideas about what to do in Napa. There are so many fun things to see and do apart from exploring wineries and tasting wines. Be sure not to forget the exciting hot air balloon rides from Balloons Above the Valley!